Larry K. Peavy, 70 of Lake City, passed away on Thursday, March 28, 2019, at the Veterans Affairs Medical Center in Lake City. He was born in Jackson, Mississippi and had made Lake City his home for the past 30 years. 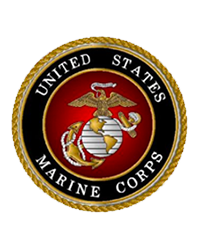 Mr. Peavy was a Vietnam Veteran having served in the United States Marine Corps. He was a commercial artist and had worked for various advertising agencies. Mr. Peavy enjoyed collecting coins and traveling. He was preceded in death by his father, Herman Peavy. Survivors include his mother, Vera M. “Miss Tillie” Mathews, Lake City; two children, Lawrence Meyers and Ilissa Meyers both of Texas; one brother, Grover Wayne Peavy and one sister, Claudean “Toni” Boyle, both of Lake City; five nieces, Shawne Cochrane (James) and Megan Peavy, both of Lake City and Stephanie Peavy Hurst, Jennifer Peavy Burt and Nancy Peavy Wright all of Anniston, AL; and two great nephews, Kameron Hunt and Mathew Cochrane both of Lake City. Funeral services will be conducted on Wednesday, April 3, 2019 at 2:00 PM in the Gateway-Forest Lawn Memorial Chapel with Pastor Rick Holmes, officiating. Interment will follow at Forest Lawn Memorial Gardens Cemetery with military honors. Visitation with the family will be from 1:00 PM to 2:00 PM, one hour prior to the services.